The Seal of Bilteracy is an award given by a school, school district, or county office of education in recognition of students who have attained proficiency in English and at least one other language by the time of high school graduation. The Seal encourages students to pursue multilingualism, honors the skills they attain, and can be evidence of qualifications that are attractive to future employers and college admissions offices. 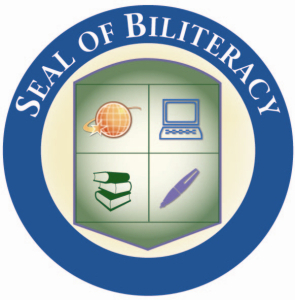 The Seal of Biliteracy includes all languages. Currently there are twenty four states which recognize the Seal of Biliteracy program and more states are being added. For the Polish Seal of Biliteracy, the cost of the test development is $30,000 and the Polish community needs to purchase 500 copies in the year of its release, $25 per each test. The test should be available in spring 2018 and the exact date will be known soon.